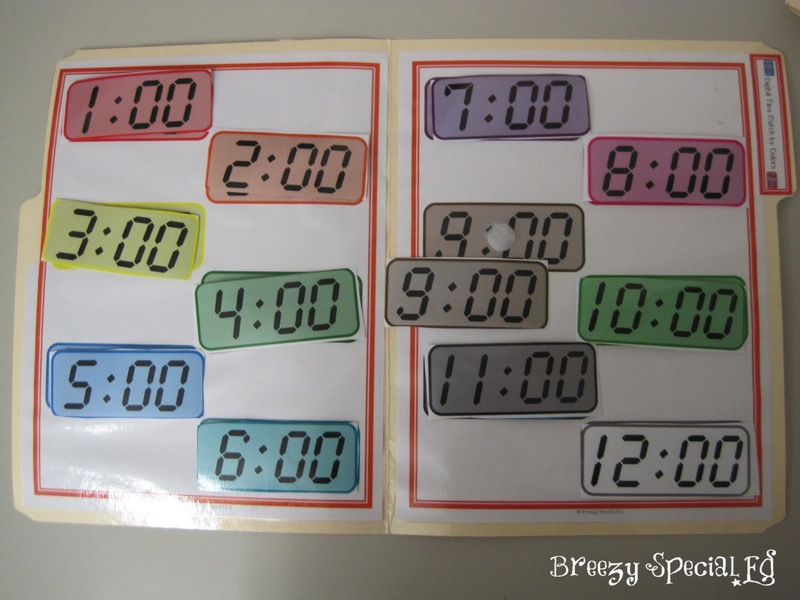 When we talk about life skills and math, telling time is one of the first concepts that probably pops into your head. 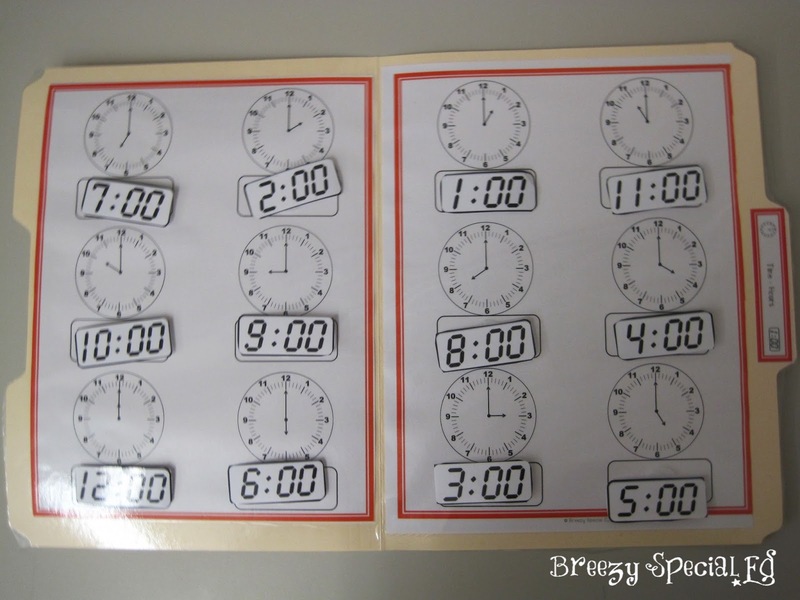 Understanding time is an important skill for so many reasons, which is why we work on it so often in special education classrooms. 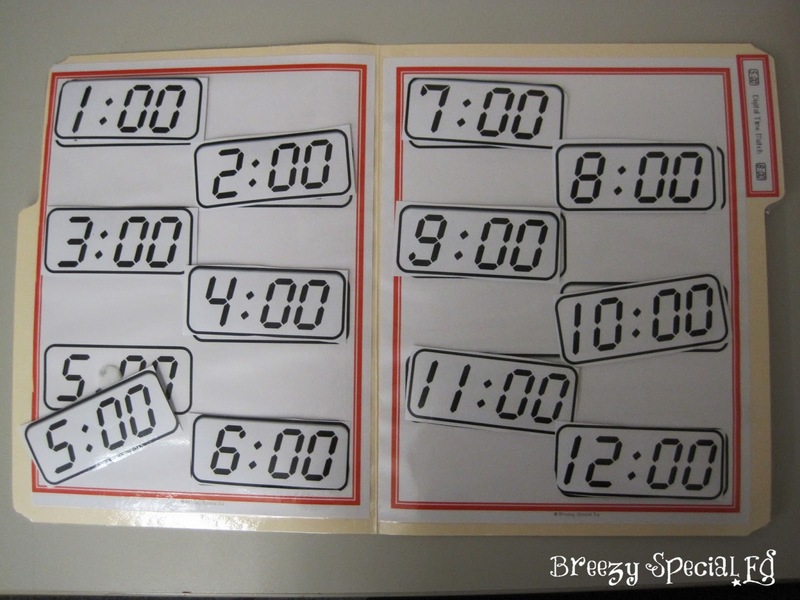 I created this pack of telling time file folders that ALL of my students could work on. 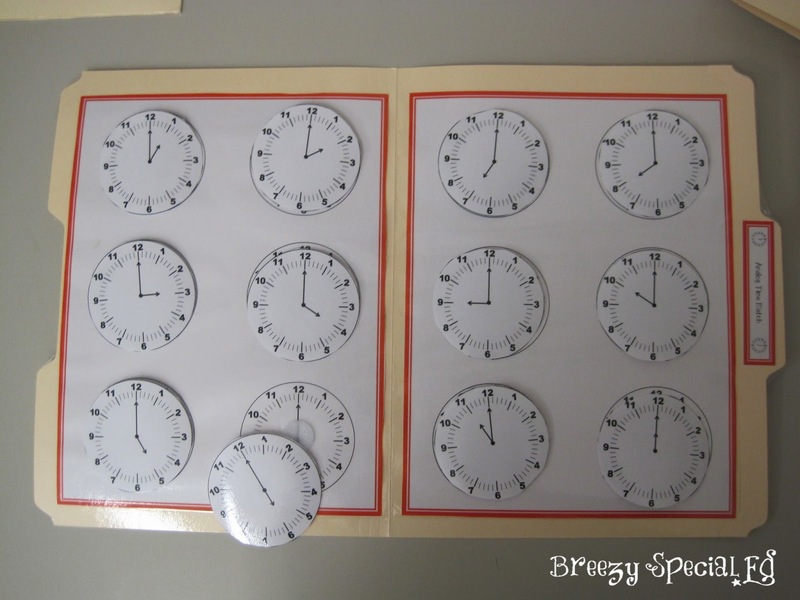 But wait, what about your students who aren't able to recognize numbers yet, or maybe are just mastering numbers but aren't ready to move to a clock yet? I have something for them too! 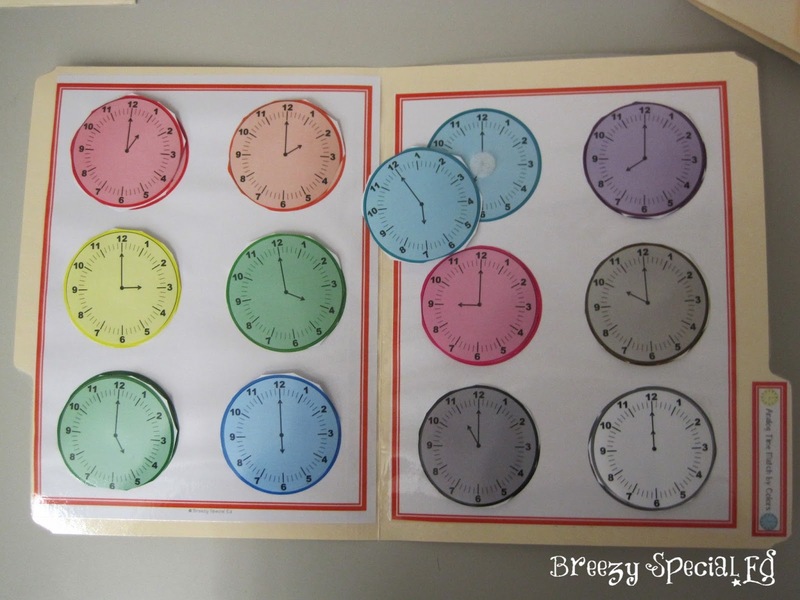 Level One Time File Folders: Digital and Analog clocks with color matching! 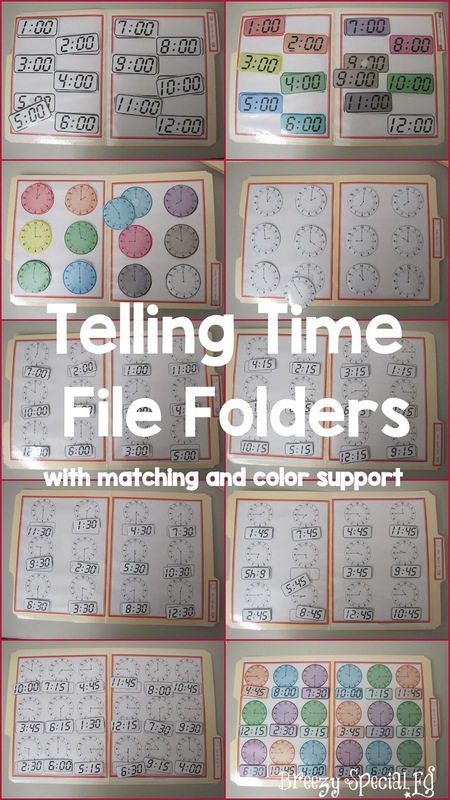 These file folders are great for those students who can't master number matching yet, but are able to color match, and allows them to feel like they are a part of the class. They can work on time too! 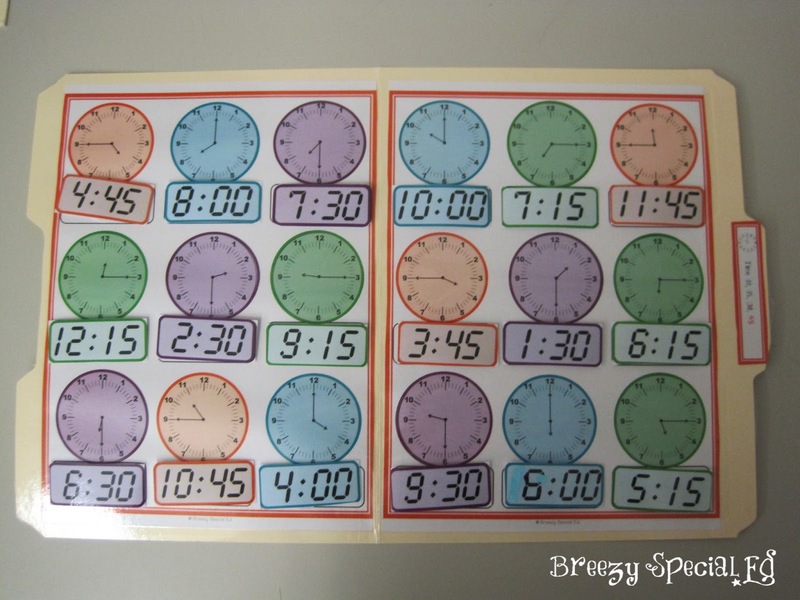 I love that these too can be used for students who can't recognize numbers, but can match the arrows on the clocks or the shapes of the individual numbers. 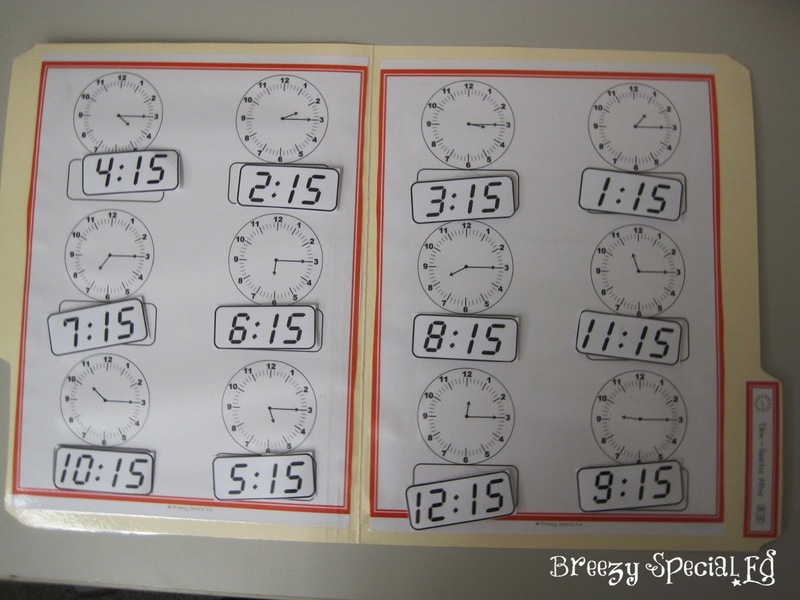 It's a great first step to recognizing numbers and telling time! 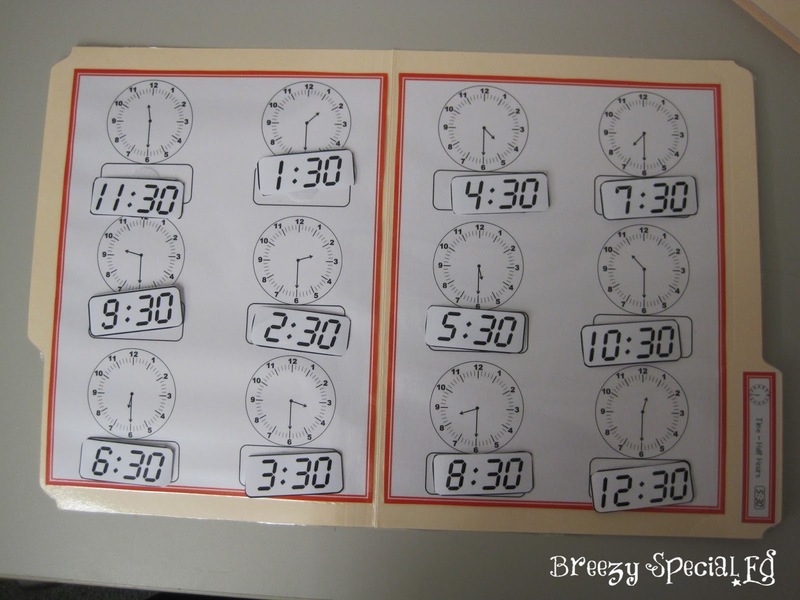 This is usually the first one that students are able to complete successful, since telling time by the hour is just looking for where that little hand is pointing. Level 4 File Folder: All mixed up!! So there you have it. 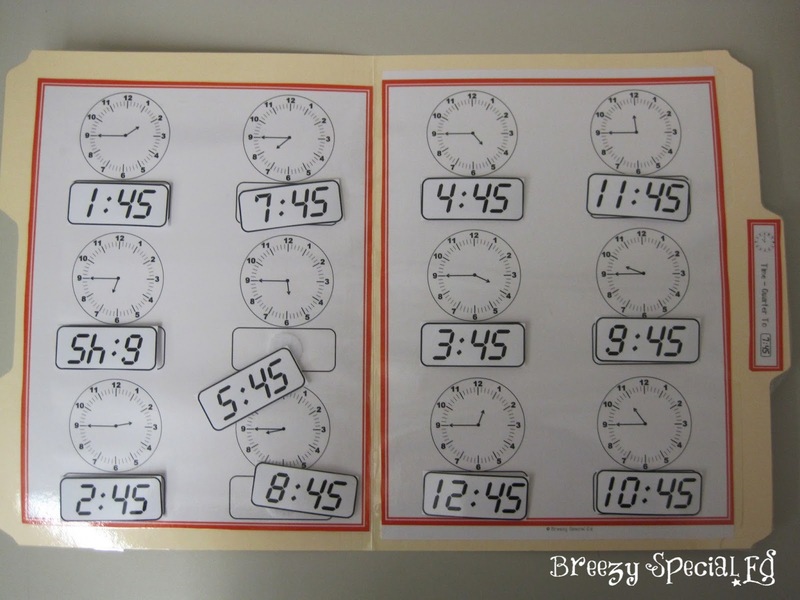 Telling time file folders for your entire class! 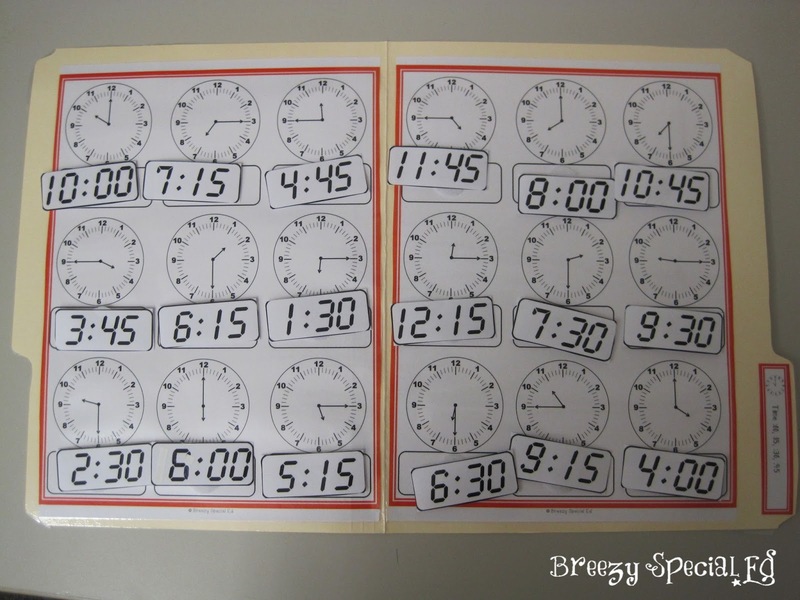 Grab this pack of telling time file folders in my TpT store! And if you love activities like this, you'll also love these file folders!